Published at “The Moscow Times” (http://www.themoscowtimes.com) on January 30, 2008. Boys at Harrow, where Gutseriyev’s sons Said and Chingizkhan studied. Chingizkhan died after a car crash last year. BERKSHIRE, England — Eduard Zelkin, a stooped Moscow pensioner, paused momentarily as a group of Eton schoolboys passed by, dressed in their traditional black-and-white uniforms. Zelkin then poured out a stream of questions about the 15th-century boarding school, which is near to the British royal family’s home of Windsor: how the boys live, where they eat, whether they go horse-riding, and why there are so few black students. When asked if he hoped to see his grandson Daniil, 4, study at Eton one day, Zelkin shrugged. “Maybe. He’s still young, and there’s still a long time to go. We’ll see,” he said, as Daniil eyed his reflection in the window of a nearby toyshop. Once only a distant dream, for some Russian families sending their children to schools like Eton, an epicenter of Englishness and exclusivity that has been molding young gentlemen for the best part of six centuries, is increasingly within reach. Regardless of the increasingly strained diplomatic relations between the two countries, from Harrow to Cambridge, the number of Russian students in Britain has soared. And with Russian children starting to attend British schools at a younger age, parents becoming more knowledgeable and more students coming from middle-class families, the trend only looks set to grow. In the living room of his on-campus Victorian cottage, Eton schoolmaster Peter Reznikov, the first Russian ever to teach at the school, leaned forward in his black blazer and white bow tie. “Parents used to come to me and say things like, ‘I have a boy and a girl, can they both come to Eton? '” said Reznikov, a native of Rostov-on-Don, who has taught Russian at the school for nearly 10 years. Although it is the children of the oligarchs and government officials that grab the headlines — Roman Abramovich’s eldest daughter studies at an elite London day school, while Foreign Minister Sergei Lavrov’s daughter went to the London School of Economics — it seems that a new class of Russians have started sending their children to British schools. At an estimated average of 30,000 ($60,000) per year for school fees and travel, however, it’s still a sizeable investment. Eton College, a boys’ boarding school, was founded in 1440 by King Henry VI. “I would say they are the upper middle class, who battled through these 15 years and survived and have built up their home, sorted out their businesses and are now looking at educating their kids,” Reznikov said. “Now the first generation has graduated and come back and is saying, ‘Look, it’s great, we are working in the City [of London] or for big companies in Russia,’ and more and more people started to believe that it is good for their kids, and more people can afford it,” Reznikov said. Since 1991, Reznikov has run Prince, an agency that helps place Russians in British schools and universities, and what started as a trickle of students has become a torrent. Nowadays you would be hard pressed to find one of Britain’s more than 2,500 private schools without a Russian-speaking student, Reznikov said. Numbers have more than tripled, he said. “A lot of Russians say that they want their children to go to schools with no other Russians in them, but it’s difficult,” he said. And now ever-younger kids are coming over with their grandmothers, mothers or nannies. “The market suddenly dropped down from children of seven to children of 2 1/2 or three,” Reznikov said. And although the boarding-school experience may be alien to Russian culture, it can often have a positive effect on the often-spoiled offspring of the rich. “When they’re walking next to a Rothschild, Ford or Dupont, the Russian kids think, ‘Wow, my father is rich but these people are 10 times richer and they behave normally,'” Reznikov said. “After boarding and being stretched academically instead of smoking dope in Moscow, they become much better people,” he said. From a romantic image of the British educational system to a preference for British teaching methods, the appeal for Russian parents is widespread, former students said. “Parents now think that it’s fashionable for their kids to study abroad,” said Stas Ognyev, 21, who has studied in Britain since the age of seven. And security is also a big issue. “With the elections coming up, a lot of people are unsure about the political and economical future in Russia,” Ognyev, whose father made money as a grain trader, said in a recent interview at a cafe behind Harrods in central London. “A lot of people want to invest money out of Russia anyway, and with the tax advantages and political stability in the U.K., people think, ‘Why not send our children to school here and buy a flat in Knightsbridge? '” he said. After Russian authorities last year issued an arrest warrant for billionaire Mikhail Gutseriyev, sources close to the former Russneft president said he had fled to Britain, where his younger son, Said, is currently studying at Oxford. Gutseriyev left Russia after his elder son, Chingizkhan, who also studied in England, died of injuries sustained in a car crash in Moscow. Dressed in a navy blazer and designer jeans, his longish blond hair hanging around his collar, Ognyev, who studied at Harrow with Gutseriyev’s sons, looks and talks like a typical product of the British public school system. “There are two extremes. Some people come here and become completely Anglicized, and some people don’t change at all,” Ognyev said. “Most people get that feeling of understanding for this culture but at the end of the day they still feel Russian. An Eton master taking a tutorial. The school provides full boarding education for about 1,300 boys aged 13 to 18. The well-heeled Russian students are, for the most part, a socially cohesive group that lives — and parties — together. “We all hang out at the same places and we all know each other,” said Ognyev, who set up a business promoting parties for Russians while at university in London. Given the upturn in applicants at an array of education fairs around Russia, special seminars and over the Internet, an increasing number of top British schools and universities are now actively courting Russian students. As bastions of the British establishment, most schools are loath to say that they have changed to cater to the Russian influx. But parents of prospective students from Russia do sometimes have some pretty specific demands, one school said. “[They] request to continue Russian lessons and to land by helicopter, but otherwise no,” said Nina Preece, a spokeswoman for Millfield School in Somerset, where Boris Yeltsin’s grandson studied in the 1990s. And the vast majority of Russian students who finish British schools stay in the country for university. Over the past few years, the ranks of Russian societies at Oxford and Cambridge, which were originally founded by Prince Felix Yusupov and Vladimir Nabokov, respectively, have swelled. The Russian university students tend to study economics or business, with some of the girls opting for design. “We have had almost 100 new members this year,” said Boris Yarishevsky, president of the Russian Society at the LSE. Typically, after graduating, the Russians head to banks, consultancies and law firms in the City for a few years before eventually heading back to highly paid jobs in Russia, Yarishevsky said. “About 5 percent of the people I know want to stay here, but most want to go home,” he said. As proof of the booming number of Russian graduates, in just over five years the mailing list for Russians in the City, an exclusive networking group, has grown from nothing to 1,300, one of the group’s founders said. And back in Russia, the reaction from potential employers is almost uniformly positive. “I know that some oligarchs like Oleg Deripaska are only hiring students with a Western education,” Yarishevsky said. Deripaska himself studied at a specially tailored course at the LSE. Some Russian politicians, it seems, are taking a lead from President Vladimir Putin — whose two daughters now study at St. Petersburg State University — and are avoiding the potentially damaging publicity caused by having a child studying abroad. Over the past year the fallout over the murder of former KGB agent Alexander Litvinenko in London has caused relations between Russia and Britain to nosedive. But Yarishevsky was adamant that many scions of the new elite are currently studying in Britain. And with the children of Russia’s movers and shakers studying in Britain, in 15 or 20 years Russia could well be run by a British-educated, Anglophile elite, Yarishevsky predicted. Asked if one day Russia could have a president who had studied at Eton and Oxford, Ognyev laughed. 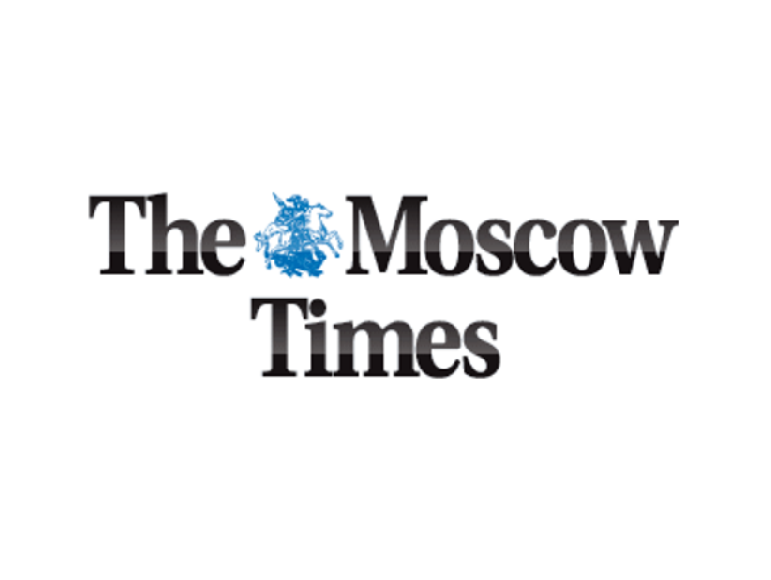 © 2008 “The Moscow Times”. All rights reserved.